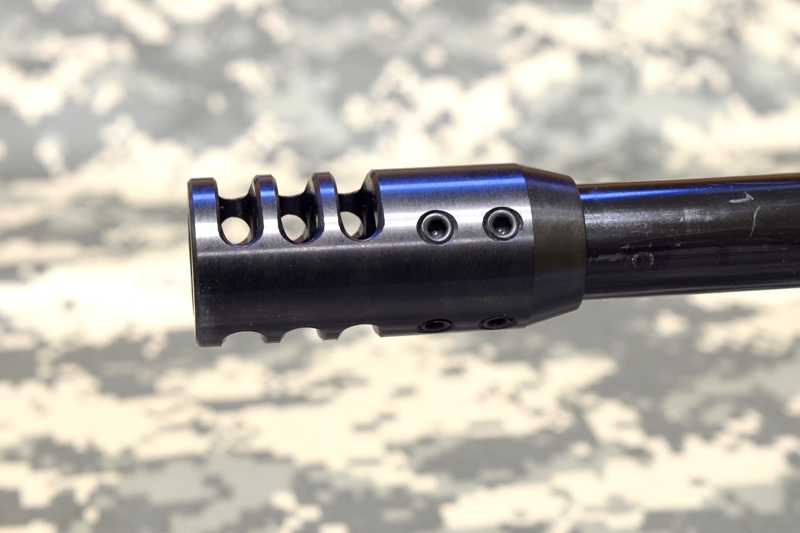 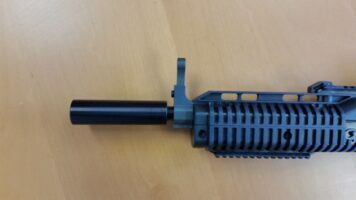 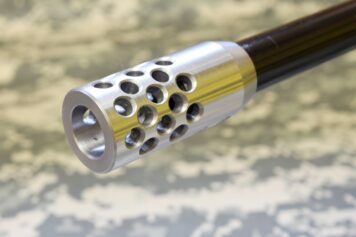 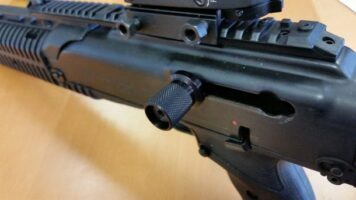 Hi Point Slotted muzzle brake for model 4095TS and 4595TS. 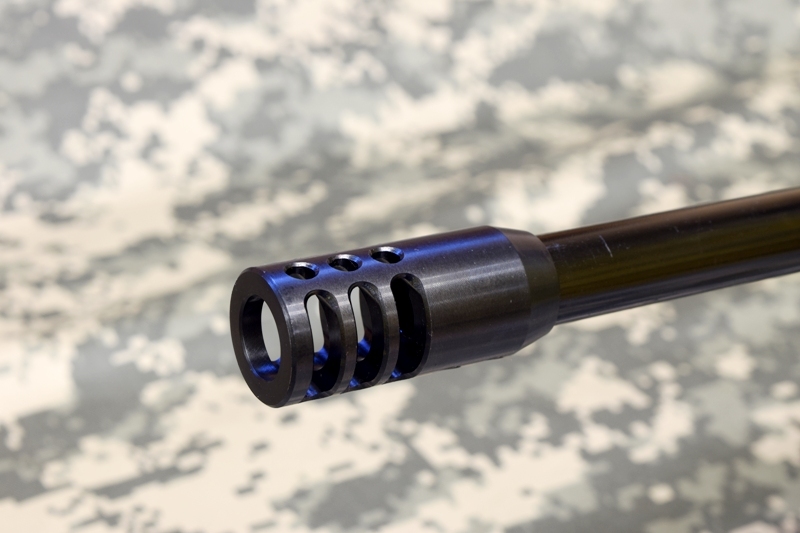 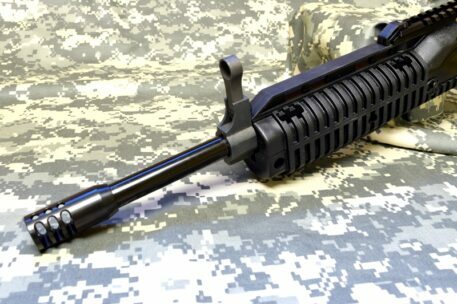 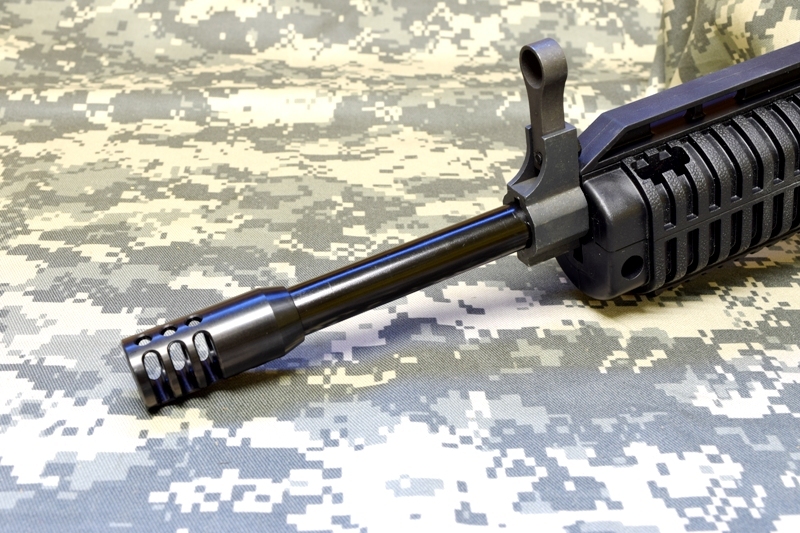 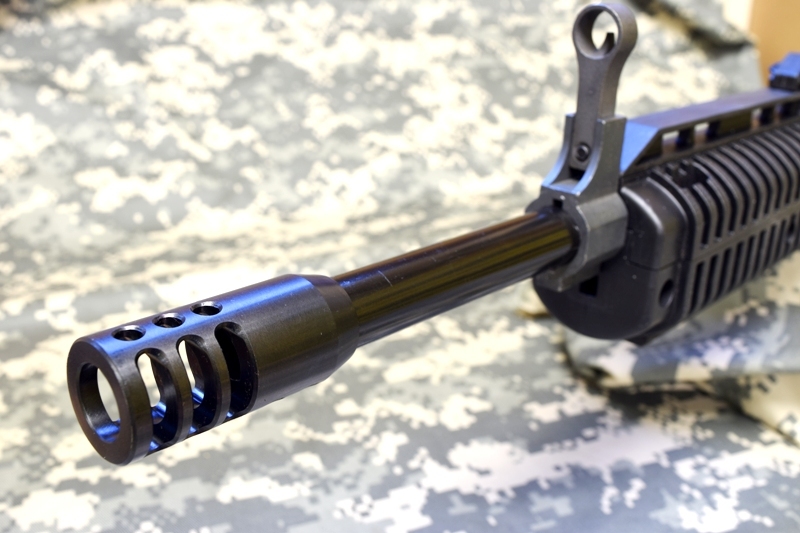 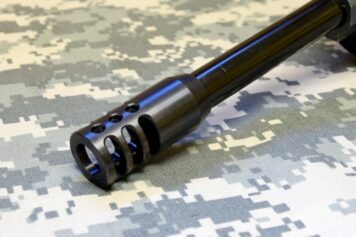 The 4095TS 4595TS muzzle brake measures 2.125 inches long, and .930 inch in diameter. 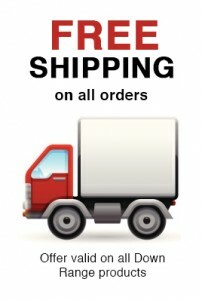 It is precisely machined from US made steel! It is coated with a durable black oxide finish for long lasting durability. 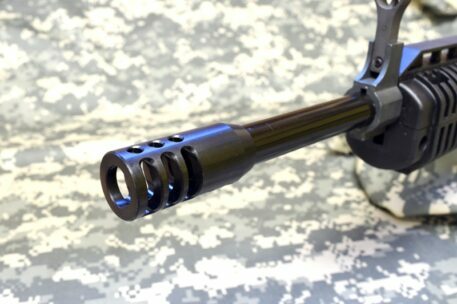 It is held in place with four set screws that are provided. 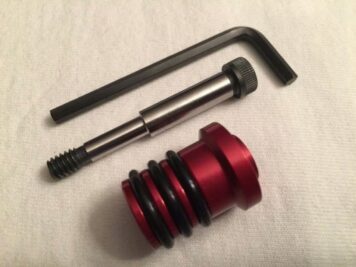 The weight is 2.7 OZ.